This is a lighter, more compact version of our standard material lifts. 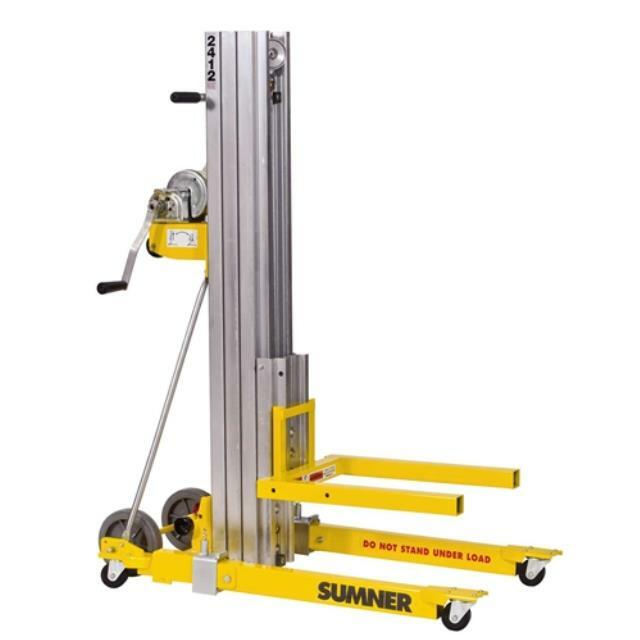 It is ideal for situations where a load 450 lbs or less needs to be raised less than 12'. Click here for the Sumner 2412 operator's manual.